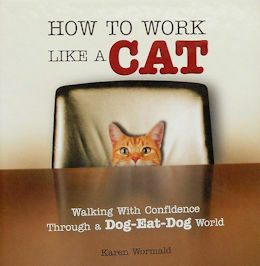 The sub title of this book is "Walking With Confidence Through A Dog-Eat-Dog World". On each page is advise of coughing up hairballs (don't let something upsetting you fester), don't take your eyes off a goal (fish in fish bowl), cats rarely get bored (poke around in new places), manage by walking around - anywhere but on the floor, leave your make- tastefully, show respect for the operator of the can opener, and more. 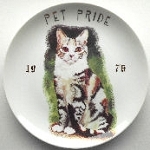 Opposite each expression is a color photo of a cat. Hardback, 5 3/4" square, 96 pages, Copyright 2006.